We currently live in a world where everything can be attained at a touch of a button. We can order food from our phones without ever having to speak to another individual. We can get clothing through Amazon, and even return it if it doesn’t fit well. Getting a date has never been easier, either. All we have to do in order to meet a new partner is swipe right or attend a meetup thrown by an app. As app-oriented as our world is, there are certain things that most people could never see coming. When it comes to our health, this is often the most common case. Sure, there are plenty of apps that allow you to have digital personal trainers and digital nutritionists, but would you really feel comfortable with taking that a step further? Would you, for example, feel comfortable with having a meeting with a doctor who would prescribe Accutane for your acne through your phone? Many telemedicine apps are already starting to broach this route—and a number of celebrity dermatologists have been starting to offer their consultations on-demand through certain apps. Many people would already be pretty skeptical about the possibility of meeting with a doctor without meeting them in person. However, one app is going even further beyond the typical “chat and prescribe” tactic of commonplace telemedicine apps by arranging plastic surgery procedures online! 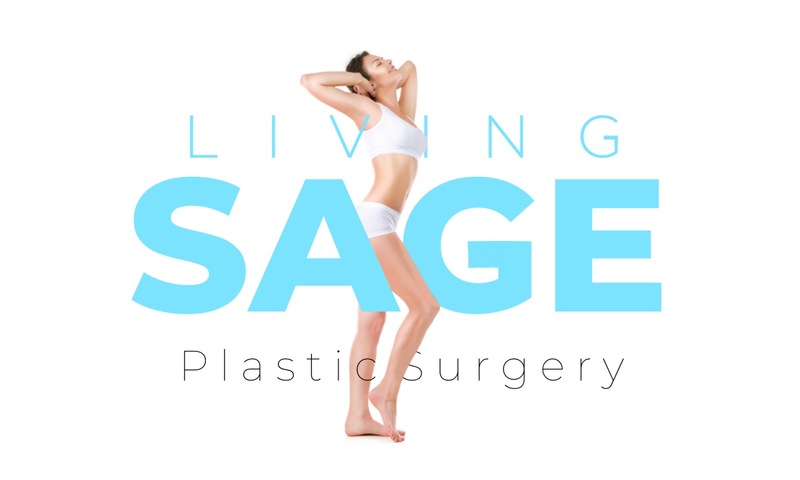 Living Sage has made international headlines by behaving as both a content hub and a network to arrange online consultations with real plastic surgeons. Truthfully, it’s not just about plastic surgery. There’s a little something for everyone on Living Sage—from content, to networking, to interesting studies, to plastic surgery consultations. Casual fans of medical TV shows and people who have a slightly morbid curiosity about anatomy have fallen for the live videos of plastic surgeons carrying out cosmetic procedures on real patients. Those who are curious about improving their health often enjoy the podcasts done by real doctors. People who want to improve their looks and have been considering getting plastic surgery typically end up going the whole nine yards and booking a consultation. Imagine having a brief conversation with a doctor online, then booking a surgical appointment knowing that the first time you will ever see them in person is going to be the day that they operate on you. Does that scare you? Would you do it? Though many of us wouldn’t, there are now people out there who not only would consider doing it, but already have done it through Living Sage. Doing a story on Living Sage is a great way to broach a number of topics. People will love the shock factor of knowing that they can actually get plastic surgery on demand—or even watch doctors performing a real tummy tuck on the app. Those who want to know more about plastic surgery before they decide to undergo a procedure will love hearing about how new apps can make it easier than ever before. And of course, there’s also the tech and commerce aspects to discuss. 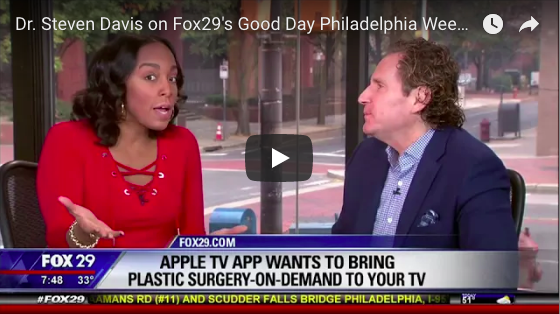 Dr. Steven Davis on Fox 29s Good Day Philadelphia discusses Apple TV’s Plastic Surgery On Demand App. The number of cosmetic procedures nationwide continues to increase as more and more Americans are seeking to perfect their bodies. Here are the Top 10 Cities in The United States for Plastic Surgery (the results may surprise you). Did you undergo a Rhinoplasty? If so, what was one of the benefits? Share your comments or drop us a line.